Electric Car Charging At Home - Is Special Wiring Necessary? Electric Car Charging At Home – Is Special Wiring Necessary? Home/Batteries/Electric Car Charging At Home – Is Special Wiring Necessary? Electric and hybrid vehicles are very popular these days as they are eco-friendly and by using them regularly people can contribute their lot to the environment. These vehicles not only solve the fuel crisis by reducing the consumption of gasoline and other petroleum products but also save money on operating expenses. However, many prospective purchasers of electric vehicle (EV) are surprised to know that they require the services of an electric contractor to improve the electrical wiring at home to enable charging the electric car’s battery. An electric car does not use any fuel and instead a battery using lithium-ion or hydrogen fuel-cell technology powers the electric motors. Electric vehicles are clean as they do not emit any harmful greenhouse gases. Although hybrid vehicles emit gases, their emissions are only in small quantities. Practically every automobile manufacturer makes their own popular hybrid varieties; however, the real electrical vehicles in true sense are just making entry into the markets on a wide scale. Among several electric vehicles, the Nissan Leaf is rated very high. This is the first electric vehicle manufactured on a large scale by a leading automobile manufacturer. Nissan Leaf EV can drive up to 100 miles before battery recharge. 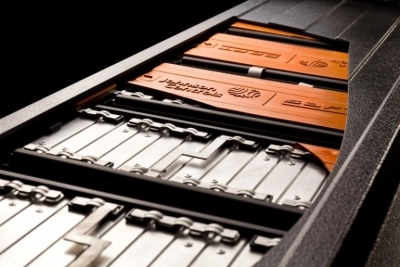 Those who drive EVs regularly must get the battery charged frequently. Several companies are toying with the idea of establishing what are called ‘Public charging stations’. 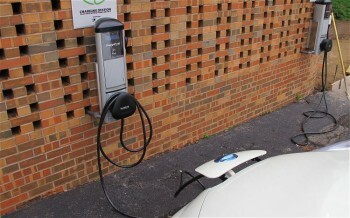 Charging stations are meant for EV users who can recharge their batteries. However, this concept has not yet picked up with the result there are not many stations so far. According to recent survey, around 80% of charging would still be required to be carried at home as most drivers do not find time to recharge their batteries at a station. Under these circumstances, it is essential to hire an electric contractor to check the internal wiring in the house to enable recharging of batteries for electric cars. Whether it is a hybrid or electric vehicle (EV), it requires to be plugged into an electrical socket to recharge the battery. Hybrid vehicles available at present can be charged with the help of a usual 110V electrical outlet fixed in homes. A comprehensive electric car, however, requires a 220V or above outlet to charge the batteries. Even though a 110V outlet can be utilized if necessary, it takes nearly 24 hours to charge an EV battery. As a few EVs that are now available can retain the charge up to 40 miles for a full-battery charge, 110 Volt charging is not only not feasible, time-taking but also shoots up the household electric bill. A 220 – 240V outlet with an exclusive 40 Volt circuit is the ideal choice for charging the battery of an electric vehicle that not only takes much less time but also is cost-effective. This way an EV can be charged within 4 to 6 hours. Many garages in the US already have at least one 220 volt outlet, generally for the dryer. However, the prescribed the US standard for home wiring is 110 volts. An electrical contractor should first check the wiring to ascertain if a new circuit breaker box or a more complex electrical fixture is required. Older houses may need a complete upgrade in wiring in order to cope up with higher electrical load. As it is a skilled job, only electrical contractor can do it. According to the latest estimates, up-gradation of wiring in most of the homes in the US to facilitate charging an EV battery costs around $2000. The figure can touch even $10,000 in homes with older electrical systems. An electrical contractor can work out a specific estimated cost for the house. The upgrading of wiring may include replacement of entire existing wiring, installation of new circuit breaker boxes and rewiring the electrical grid of the home to enable charging of EV battery. Nissan, the makers of the Nissan Leaf EV normally sends an electrical contractor to the purchaser’s home to work out the cost estimates and upgrade the wiring. Before purchasing an EV, it is better to understand all the essential requirements to ensure a proper working space in the home for charging the car. A professional electrical contractor can assess the requirements and give an estimate of how much it would cost to upgrade the wiring in order to meet the standards required to charge an electrical car battery.